Lubrite Industries is an ISO Certified Centralised Lubrication System manufacturer and exporters from India. We manufacture Lubrication pumps and Lubrication systems. We also manufacture Deluxe Lubrication Units, Electronic Timers, Electronic Controllers, Metering Cartridges, Junction Blocks, Fittings (st. connectors, Elbow Connectors, Banjo Bolt assembly, D/E connectors, Clamps, Tubings, Planning/ Installation of the system. Single Line Lubrication Pumps, Manual Grease, Pumps, Automatic Dual Line Lubrication Pump, Dual Line Dose Feeders. Lubrite Industries is an independent 100% own world-class manufacturing company which has achieved pioneer status in terms of technology and manufacturing capabilities in the field of Lubrication. Decades of manufacturing experience assures that our products are among the best in the industry. 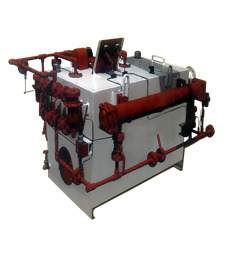 COL (Continous Oil Lubrication System) is meant to lubricate bearing of driers in the forny/ back side of paper machine. 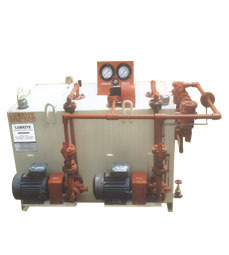 The COL generally consists of stand by Geared Pumps. Duplex Filters, heat exchanger & necessary instruments such as pressure switch, differential pressure switch, thermometer, pressure gauges etc to monitor the working of the system. Oil is lubricated to the each bearing with the networking of pipe lines & fittings. Inline filters & heat exchanger cleans as well as cool the oil before it enters the bearing housing. The same oil is then ejected from Bearing Housing to the COL tank through return header.